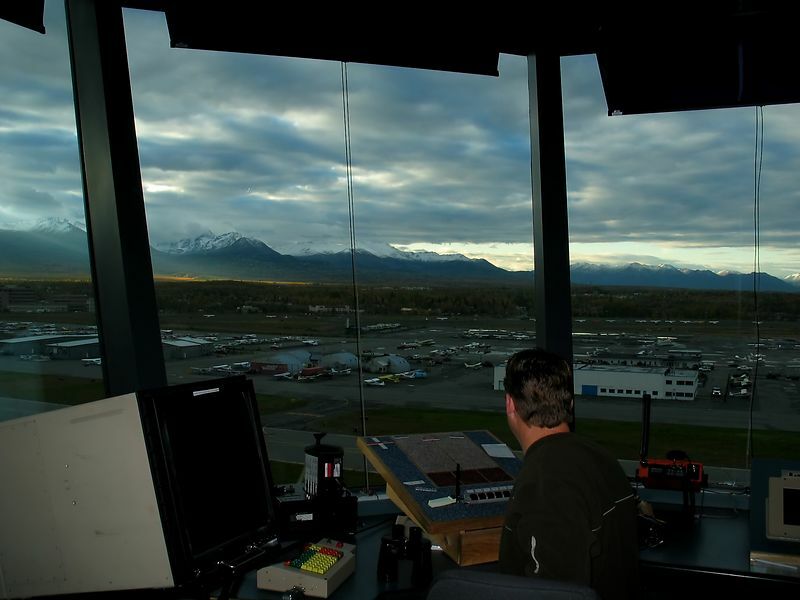 These are some photos in and around the Merrill Field airport and FAA control tower where I work as an air traffic controller, in Anchorage, Alaska. Sam, on ground control. Nice view from the 10th floor office, Merrill Field FAA control tower.